The Masters. The best week of the year. The beginning of spring, warm weather on the way (maybe a while off here in the Midwest however), and gorgeous rolling hills of Augusta National. The Masters also means birdies and eagles, and roars from the patrons when players make those birdies and eagles. 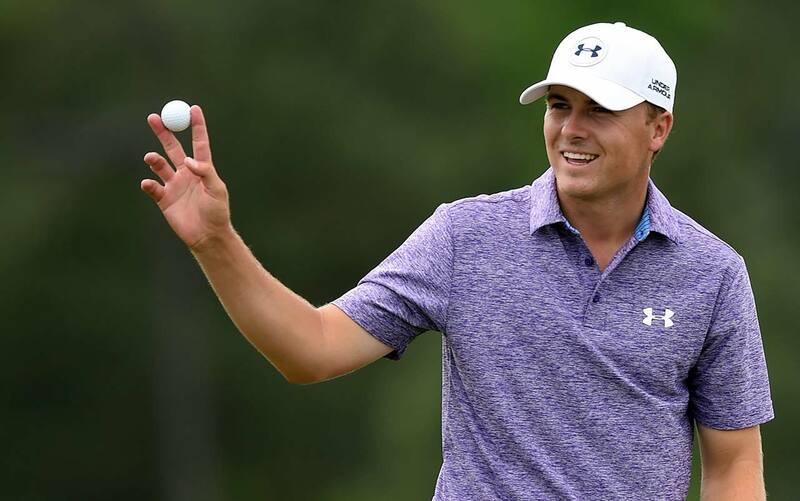 Basically, Masters week makes for the best golf watching of the year. Looking to know who’s going to win? Check here. Music this week was pretty easy to pick out. Click play on this video and let the soothing sounds of Augusta take you away to your happy place. That sounds pretty weird, but I’m gonna keep it. Aka amateurs! The Masters, bless its soul, was founded in a time where being an Amateur (note the capital A) was a good thing. A sign that you’re stable enough in life to not need to play golf for money. Bobby Jones, co-founder of Augusta National and the Masters, was a poster child of amateur golf. And because of that, the focus of amateurs in the Masters lives on some 70 years later. Throughout this whole election season, I’ve been pretty good at ignoring the candidates and the 24/7/366 (happy leap day!) news cycle. Unfortunately, as I sat down to write this preview, I realized I couldn’t ignore it any longer. Because this week, the WGC Cadillac Championship is being played at … Trump National Doral. Yup that Trump. Luckily for everyone out there, I decided to not put a picture of the man in this article, and this is the only time I’m going to mention him specifically. I for one, believe GOTM should be a PFZ — politics free zone. This is something increasingly rare in modern culture, so enjoy it. Now time for the music. Last year I used the standard Billy Joel Cadillac-ac-ac-ac song, so I figure I’ll just go with one of the more catchy songs I’ve been listening to recently. Also since they don’t have a music video out yet, I’ll use the soundcloud stream. Invites to the Cadillac Championship are given as follows. What this means is viewers are treated to one of the best fields outside of a major. 48 of the top 50 in the world will be in Miami, only Jim Furyk (wrist injury) and Thongchai Jaidee (sickness) won’t be making the trip. Guess that’s what happens when you drop money on money at the players, with the winner getting a stout $1,612,432. With no cut, everybody makes money! Turns out it’s really hard to figure out how to spell the sound that JK Simmons and company do in the Farmers Insurance commercials. I’m also realizing that I haven’t seen those commercials in a while, so here’s an example to refresh your memory bank. Feel free to leave that on repeat while reading this preview. Definitely would add to the experience. Dustin Johnson, Jason Day, Rickie Fowler, Phil, Sneds, Bill Haas, Patrick Reed, Hideki Matsuyama. Didn’t know Farmers was drawing this big of a field. For those who’ve been reading my previews for a while, you should know that my favorite thing to do is mention Tiger when in all reality, he has no business being mentioned. But Tiger’s history at this tournament, and his performance at the US Open in 2008 at Torrey Pines, make mentioning him a requirement. 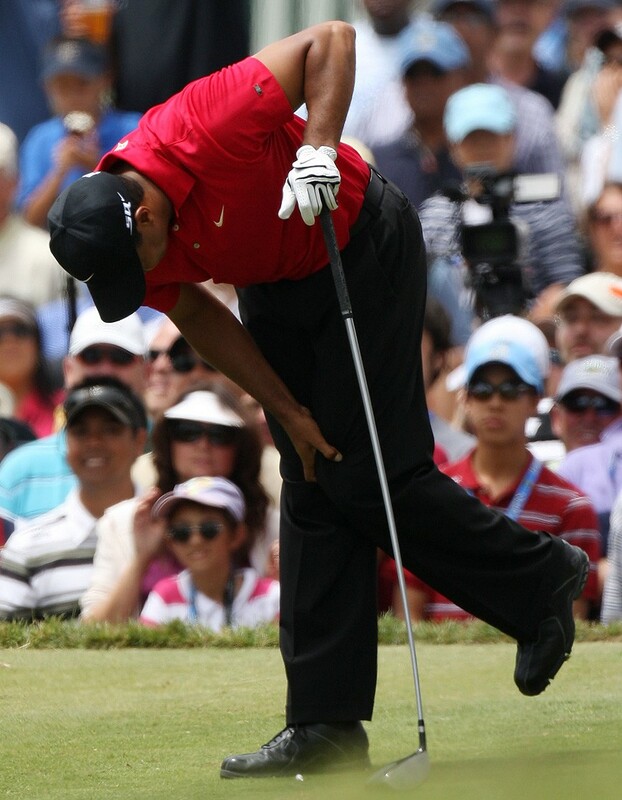 Tiger has won the Farmers Insurance Open 7 times, including 4 in a row from 2005-2008. Throw in a US Open in 2008 as well and he’s won at that place 8 times. Absolutely absurd given the talent on Tour. It’s an interesting thought trying to figure out why a certain player always performs well at a venue. Layout makes a big difference, not necessarily knowing where to hit it, but also being comfortable with the looks off the tee; it’s tough to force visual comfortableness. Another factor is the grass type. Tiger grew up in Southern California where the kikuyu grass is all over. Knowing how the ball is going to react out of the rough is a big help. Or maybe, he just wanted to please his Buick overlords, considering this event was the Buick Invitational for 6 of his victories. 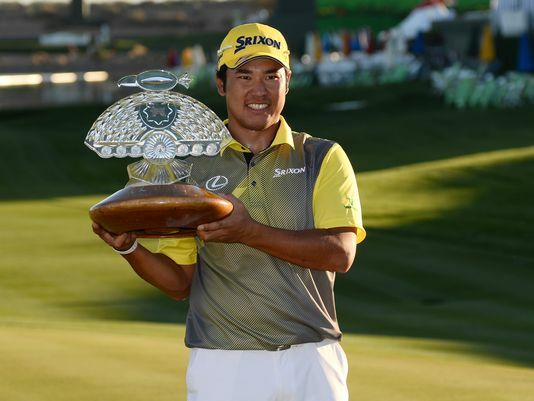 Welcome to the 2016 version of the PGA Tour! Regardless the sport, many news outlets will have a writer post a list of “bold predictions” for the upcoming season. Here’s the process: 1) get some outlandish predictions on paper. 2) Incite argument, get page views (which turns out to be great alternative lyrics to the song Get Money, nsfw language). 3) At the end of the season, after none of the predictions turn out to be correct, the author can just say that the boldness means they weren’t likely to happen anyway! Well I think those articles are way overdone, so this year, the GOTM preview article for the 2016 season will consist of Not So Bold Predictions. Predictions that will very likely be the case, along with some generalizations that are pretty much guaranteed to happen. The goal here being say things that nobody can argue with! Enjoy! They’ve accounted for 5 of the last 8. I’d say that’s good odds one of them will win at least one of the majors. If I was bold, I’d say they’d win at least 3 of the 4. But I’m not so bold. Quite possibly, but not limited to a “Big 3” consisting of guys above. Everyone loves reading about a good comeback story! And if you’re one of those terrible cynics who loves when the top guy falls so hard, you’ll probably be able to read about that too. Either way everyone is happy. Except Tiger in the second case. Unlike last year where interviews were littered with complaints from player ranging from the benign “the ground might be a little too dried out” to Billy Horschel’s wavy arm and fake putter slam. So this past Friday, thanks to a boss with a mini cooper and too busy of a schedule, I was able to head out to Conway Farms and check out second round action at the BMW Championship. What follows is an account of the happenings interspersed with observations from the first Tour event I’ve been to in person in a surprisingly long time. Also note the lack of clickbait in the title of this. 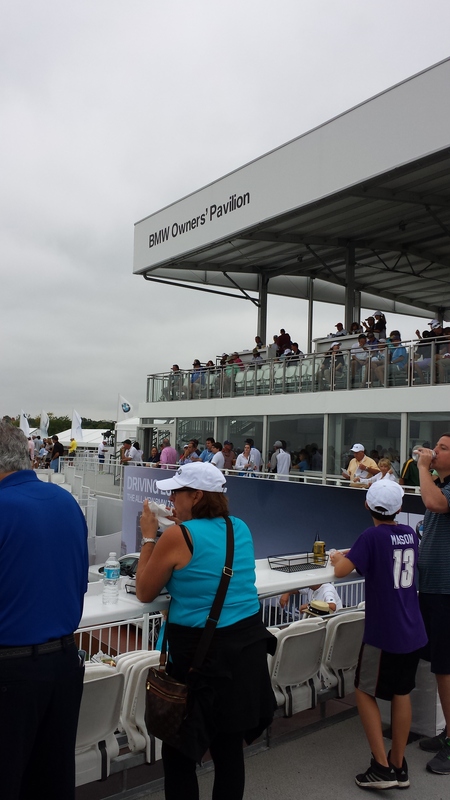 I easily could have called it “15 Observations from the BMW Championship You Won’t Believe”. But I didn’t and I should get credit for that. I’m really just realizing this out now, and wish I had made a pictorial account of all the cars on the property. When walking into the tournament grounds, you’re greeted with a couple BMWs on this track with a giant hill in the middle that’s supposed show how versatile a BMW is even though, let’s face it, these things are only going to be used to drive around the suburbs after dropping off the kids to private school. Then there was the BMW in a glass cage in the main area near the practice facility like it was an animal in a zoo. Then there’s the BMW (or two I can’t remember) on the platform of the BMW owner’s box. The only thing that was missing was a giant lake with a car floating in the middle. Though since I didn’t see the whole course, there very well could have been. Observation 2 — It’s probably a good idea to check if the tee times have been moved up because of possible weather. Dumb me only looked on Tuesday and saw that tee times started at about 10:30 (since it’s only a field of 70) and planned the day around that. Well because of possible storms later, they bumped the times up a couple hours and everyone was off by the time we got there. Not the end of the world, but range and warm ups are fun to watch cause the swings are so damn pretty. Since I work for a prediction market company, and deal with making forecasts on a daily basis, I figure I’ll go through my analysis in coming to this decently precise number. First, the only thing that you need to get in that area is a BMW key, and with that you’re allowed to bring one guest with you. So right there, the prior probability is 50% in that one of those people actually owns the BMW, and the other is probably related, but not on the title. 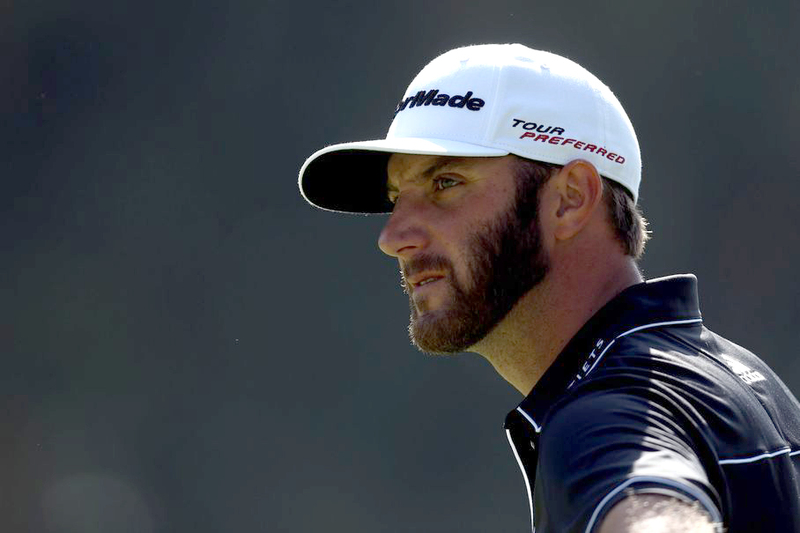 Deutsche Bank Championship — Who’s Number 1 in the World? We got a Monday finish in Boston, which means that I got an extra day to write the preview this week! Taking full advantage. I was trying to figure out if there was a joke about a German bank sponsoring an event in Boston, but I couldn’t think of any. No wonder Barclays isn’t the sponsor this week. Not that the players care cause they get a bunch of money either way! Another freaking bank sponsoring a golf tournament. Though there is something interesting about this. What’s a German bank doing sponsoring a tournament in Boston? I looked into this a little and turns out it isn’t exactly an easy question to answer, and the answer usually comes down to, “Cause they had the money and wanted to sponsor a golf tournament.” Funny sign of the times where banks have marketing departments with money to spend. Like all the banks are pretty much substitutable, so we pick the one that has a golf tournament named after it. Here’s a logo to stare at while I research. Since there really isn’t much to say about German Bank, I’m going to make a comment about the oddness of Deutsche Bank’s intro section in wikipedia. Pretty much every intro section in the history of the world has the same class of information — that of the introductory kind. But Deutsche Bank’s starts off reasonably. The first 3 paragraphs (out of 6 total) talk about that it’s a bank located in some countries that does some banking things. Cool. Exactly what I needed to know. But after that, we get three more paragraphs about the leadership structure of the bank since 2011. And then it goes back to being semi normal and talking about revenue and money under management to close out the section. Basically what I’m trying to get at is that it’s really confusing as to what should go in the intro section to a bank, considering pretty much no one goes there looking for an overview. Oh, and the page doesn’t mention anything about golf sponsorship. Maybe I should add some later. Remember how I said that I didn’t want to edit Deutsche Bank’s wikipedia page? Well I didn’t say anything about editing the DBC’s Wikipedia page! While researching using my favorite resource that apparently isn’t correct all the time, I noticed that it said that Deutsche Bank extended its sponsorship through 2012. Since that was three years ago, I figured I should update it. And now I can rightly say that Deutsche Bank will sponsor this event at least until next year according to pgatour.com, which I correctly cited. I wrote this. Check out that citation too.